Cargo claims are primarily commercial rights. As the whole purpose of trade in maritime is to deliver cargo from point A to B, thereby promoting international trade and enhancing economies of the world, we would like to accentuate the legal implications of cargo claims in United Arab Emirates (the UAE). Many governing bodies around the World have enacted maritime legislation that incorporates the set of rules on the carriage of goods known as the Hague-Visby Rules. Thus, by bringing an odd form of uniformity, these differing legislations all provide a similar form of protection to cargo carriers. Following suit, it is interesting to note, that although the United Arab Emirates is not a signatory or party to the Hague-Visby Rules, Federal Law No. 26 of 1981 contains provisions that reflect similar concepts. Both the exceptions to liability and the necessity to exercise due diligence provided by the UAE law Mirrors Articles III and Article IV of the Hague-Visby Rules. In a contract of carriage, the carrier agrees to carry cargo from point A to point B, and the shipper agrees to pay the carrier for the service of carriage. The bill of lading is issued by the carrier or its agent to the shipper usually lays down the rules on the carriage of goods by sea. Generally speaking, the shipper delivers the original bill of lading to the consignee i.e. buyer of the cargo. The consignee presents the original bill to the carrier, at the port of unloading, who in return issues a delivery order to enable the consignee for collecting the cargo from the port. The cargo claim arises when there is a breach of contract of carriage by the carrier to carry the cargo with reasonable and due care. Under UAE Maritime Commercial Law [i] (the MCL) the bill of lading (the BOL) is considered valid evidence of a contract of carriage. Article 278 provides that any condition in a bill of lading which attempts to exempt or reduce the carrier’s responsibility for loss or damage, contrary to the provisions in the MCL is void. The MCL provides for the liability of the carrier stating that the carrier shall not argue contrary to terms of BOL as against consignee who must be an innocent third party and is not a party to the BOL between shipper and carrier. Article 365 (1) provides for a general time bar of two years from the date of arrival of the vessel at the discharge port or the port of end of the voyage. A claim concerning a contract of carriage is time-barred after one year from the date on which goods were delivered or ought to be delivered. The passing of goods through port gates is the date in which the goods are deemed as delivered and the time that elapses until a claim is officially filed at a UAE court is what is to be counted. Further Article 365 (2) states: “in addition to any other causes for which the period of limitation for the hearing of a suit may be interrupted at law the said period shall expire upon the appointment of an average adjuster and in that event the new period shall run for the same period from the date of signing of the general average adjustment or from the date on which the average adjuster retires”. MCL provides different time-bar provisions for other shipping activities, for instance, two years in pilotage and towage claims (Articles 314 and 317), etc. Article 275 provides the circumstances in which the carrier will be held liable or exempted from liability for the damages sustained during the time of delivery to the port of discharge. There is a general presumption that the carrier will be liable for damages sustained except for the circumstances provided therein. Pursuant to Article 275 (1) the UAE courts would generally exempt the carrier from liability which is consequent upon the fault and omission of the shipper or any third party to the contract of carriage. Usually clauses such as “Shipper’s Load, Stow, and Count” or “Said to Contain” are contained in the BOL to protect the carriers. 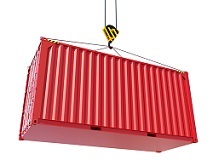 Such clauses are usually stated when there are containerized cargoes, and the carrier is not privy to the packaging activity of the goods to be carried. Usually the UAE courts do not rely on such clauses in a strict sense thereby holding carrier liable to damages of the goods which was handed over sealed to the carrier albeit the seal is untouched if the clean BOL was issued by carrier which guarantees that the goods in the containers are in conformity with the description stated in the BOL. Nevertheless, UAE courts would consider the facts and where the damages are caused due to stowing and packaging where the carrier is successful in evidencing that the stowage and packaging was carried out by the shipper and the same was defective the shipper may be made liable for such damages as per Article 275 (1)(n). This is also in line with Article 259 which provides for the express mention of clauses on the BOL. Therefore, if the carrier has reasonable ground to believe the shipped goods are not in compliance with the description provided by the shipper the carrier must expressly state the clause in BOL providing its reservations and the reasons thereof. There are several provisions found on limiting the liability of the carrier. Albeit, according to the law, any agreement exempting the carrier from liability or negligence for damage caused to the cargo or reduces the liability for the same will be void against the endorsee/consignee who is the holder of the BOL. Article 276 (1) provides for a limitation of liability “to a sum not exceeding ten thousand Dirhams for each package or unit taken as a basis in computing the freight, or a sum not exceeding thirty dirhams per kilogram per gross weight of the goods, whichever is the higher limit.” It further provides under Article 276 (2) that “If packages or units are grouped in cases, boxes or other containers and the Bill of Lading states the number of packages or units contained in each container, then each one shall be deemed to be a package or unit in connection with the fixing of the upper limit of liability and if the container is not owned or provided by the carrier and it is lost or destroyed it shall of itself be deemed to be an independent package or unit.” However, pursuant to 276(3) a carrier’s liability is not permissible to be limited if the shipper has particulars, before the loading takes place, of the nature and value of the goods and the particular importance attached to the preservation thereof. Articles 138 to 142 entitle a shipowner, charterer or operator to limit liability based on the tonnage of the vessel. The limitation is as follows: “a) AED 250 per tonne where only physical damage is caused; (b) AED 500 per tonne where the only bodily injury is caused; (c) AED 750 per tonne where both physical damage and bodily injury are caused”. In 1997 UAE ratified the Convention on Limitation of Liability for Maritime Claims 1976 (the Convention) by Federal Decree Number 118 of 1997. The Convention under Article 4 provides that the right to limit liability is lost only when a claimant can prove willful intent or recklessness and with knowledge of damage on the part of the person seeking to limit. This provides an indisputable right to shipowners to limit their liability as observed by Justice Sheen in the “Bowbelle"  1 Lloyd's Rep 532. However, the translations in Arabic are not mandatory and appear to provide only discretionary provision. It is to be noted that Article 138 to 142 are not repealed as well. The UAE law being derived from Sharia law is based on the principle of providing damages equal to the loss sustained. This is pursuant to Article 389 and 390 of the UAE Civil Code which provides discretionary power to the judge in determining the losses sustained and providing compensation accordingly. However, Article 8 of the MCL recognizes that international conventions which have been ratified by the UAE supersede domestic legislation and consequently the Convention should override these provisions. Limiting liability caused by carrier/ship owner’s fault is prohibited under Article 140. Additionally, both liabilities arising out of assistance and salvage, general average (GA) contributions, rights of master, crew and their heirs and claims arising from nuclear damage cannot be limited. The carrier can agree with the shipper and limit his liability by expressly setting out a clause in the BOL on the escalation of shipper’s liability. The exception to the above clause is provided under Article 280 wherein the shipment in connection with costal or special circumstances of the carriage of a particular type of cargo justifies such an exemption. For an exemption to qualify as valid the following conditions must be satisfied: (a) The exemption must not be against the public policy (b) the agreement is in writing and on the non-negotiable receipt which clearly endorses the particulars therein. (c) The exemption must not be related to the due care supposed to be exercised by the carrier or its agent. Pursuant to Article 280, the cargo will be assumed to have been delivered in the condition described in the BOL if no notice is served on the carrier. The notice must be given within seventy-two (72) hours from the delivery of cargo to the consignee as per Article 281. However, the BOL holder may seek damages without notice as per UAE Federal Law number 10 of 1992 Evidence law if they are successful in evincing the fact damages were caused by carrier or circumstances under which carrier is responsible for cargo. No further notice is required where the joint survey was carried out. Pursuant to Article 363 the master must be notified in writing of the damages sustained to goods with the claim within 30 days of delivery of said goods. The cargo owners must be notified in writing within 30 days from the date the voyage terminated for losses sustained by the vessel in lieu of GA claim. Title to sue is usually proved by an endorsement on the BOL or by documents such as a bank statement stating that the BOL was endorsed by the bank where the bank is capable of making such an endorsement. The UAE Courts comprehend the fact that the BOL is either to the bearer, the order of the shipper, or in the name of the consignee. In such cases, proper endorsement of the BOL in consignee’s favor is required and proves that he has title to sue. Generally, the party who has agreed to carry the cargo/goods will be taken into consideration even if consignees bring a joint action. The party who contracted with the shipper can be an owner or charterer. The UAE courts will recognize the parties to the contract of carriage who have issued the BOL and specifically identify the carrier stated in the BOL. However, the UAE courts usually do not take the “identity of the carrier” clause on the reverse BOL into consideration against the interests of the consignee or endorsee. The concept of maritime lien as applicable internationally is not applicable in UAE. However, Article 115 provides for the list of maritime claims under which arrest can be claimed before the UAE courts. Article 115(2) (d) and (e) provides that contracts relating to the use or exploitation of the vessel under a charter party or otherwise and contracts relating to the carriage of goods under a charter party, bill of lading, or other documents qualify as maritime debts. Thus the breach of carriage of goods will respectively qualify as maritime debts and the claimant can seek arrest by relying on the contention. Cargo claims remain the most confused types of claims by the parties to the contract of carriage; parties are unaware of both the legal and practical reasons for claiming and the international legal implications when doing so. A failure in the cargo claims systems can prejudice economies from fulfilling their basic function of promoting trade. The STA maritime team has been advising carriers and other parties on their business activities and has expertise in assisting the marine businesses in the jurisdiction. We hope this article has been sufficiently informative.